Editor’s note: Following on from Felix’s post on Sunday, we were reminded that when it comes to predicting Baselworld watch releases, we don’t always get it exactly right. Especially when it comes to reissues. Whether it’s our own wants and desires that are trying to swing the vote towards something we’d like to see (I’m looking at you Omega … cough … Flightmaster). Or that in this ever-evolving and ever-growing industry there is bound to be watches that we just plumb forgot about. 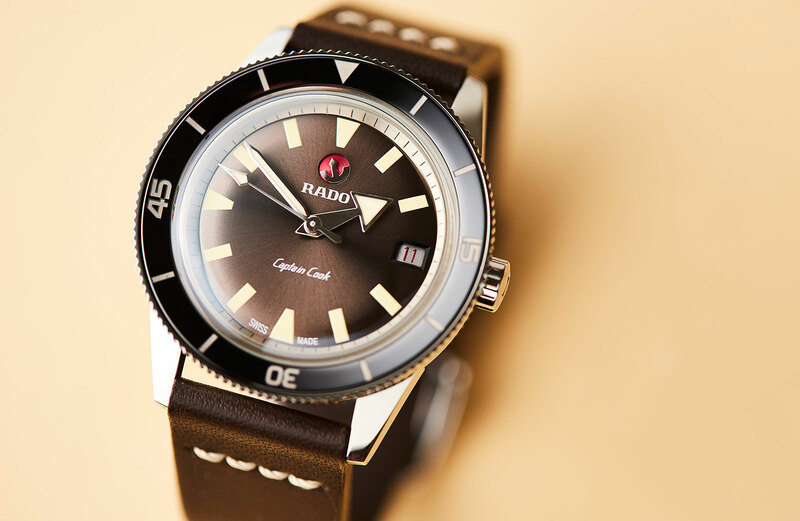 In either case, one that we absolutely did not see coming last year at Baselworld 2017 was this handsome little number from Rado, the HyperChrome Captain Cook. As far as reissues go, this one was a banger! And we here at T+T don’t mind making a few wrong predictions if it means we get to be surprised with watches like this one. 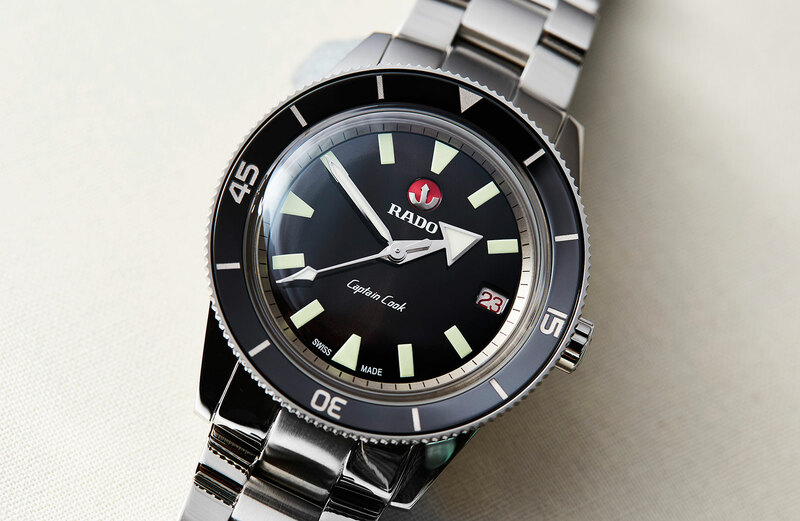 Who expected a drool-worthy heritage reissue from ceramic-focused Rado at Baselworld? No one, that’s who. 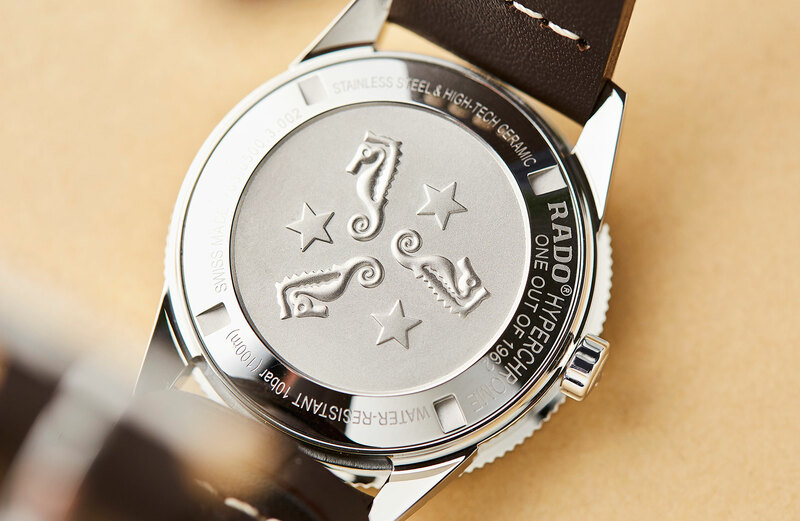 While Rado is particularly well-known for their use of high-tech ceramic and hard metals, they’ve got a long history in water resistant and dive watches, launching their sporty ‘Green Horse’ series of watches (with a particularly cute seahorses logo on the dial) in 1958. In 1962 they released a simple little dive watch called the ‘Captain Cook’. 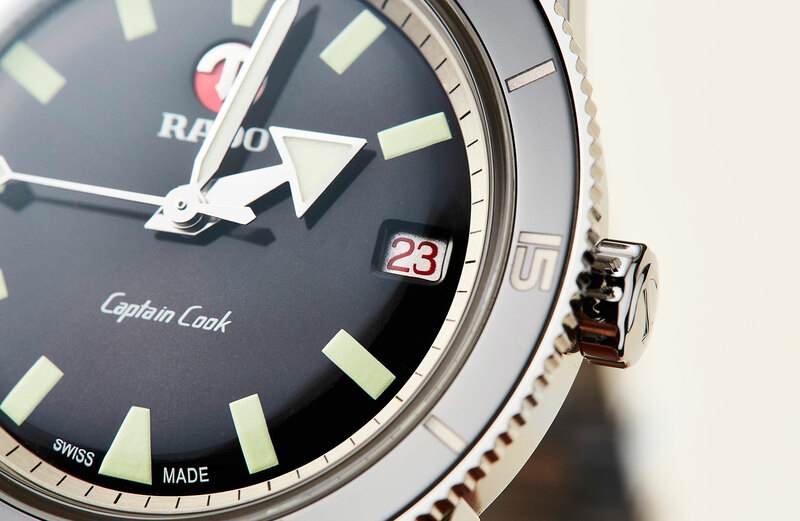 Fast forward 55 years and Rado has released another series of watches named for the famed explorer. There’s a large 45mm version and a feminine white option, but our eyes were drawn to the brace of 37mm vintage reissues that are virtually identical to the 1962 original. The version with the sunbrushed dial and leather strap, limited to 1962 pieces, has received the most attention. But there’s also a regular production model with a matt black dial and a metal bracelet. The most remarkable thing about the case of the Captain Cook is the size – 37mm is quite petite by contemporary standards. The fidelity to the historic watch size is both a blessing and a curse. By sticking to their guns and keeping it authentic, Rado has earned some major respect from critics and collectors, resulting in a PR win. It must have been an effort to resist the temptation to increase size, even by a few millimetres. For many people, 37mm is just a tad too small, especially for a sporty design such as this. Had the size been upscaled to 39 or 41mm I suspect it would still have been a real hit, while removing a barrier to entry for the larger-wristed among us. 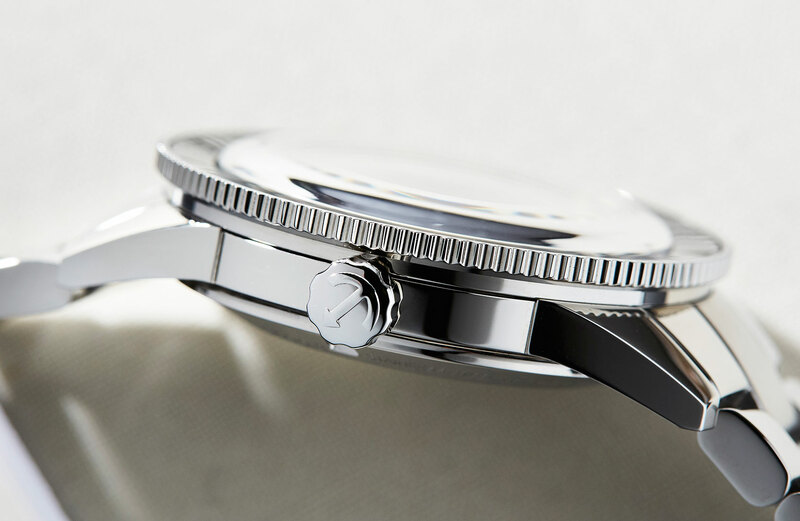 Aside from the diameter, the stainless steel case is well-made, only 11mm high, and with plain, angled lugs. Concessions to modernity have been made with the choice of a glassbox sapphire crystal (a very nice feature at this price point), which really adds to the vintage look. Likewise the bezel insert is now ceramic instead of scratch-prone aluminium. The caseback is solid, and stamped with three seahorses. The case is rated to 100m, meaning while it’s fine to wear in the pool, it doesn’t meet the ISO certification requirements of a modern dive watch. 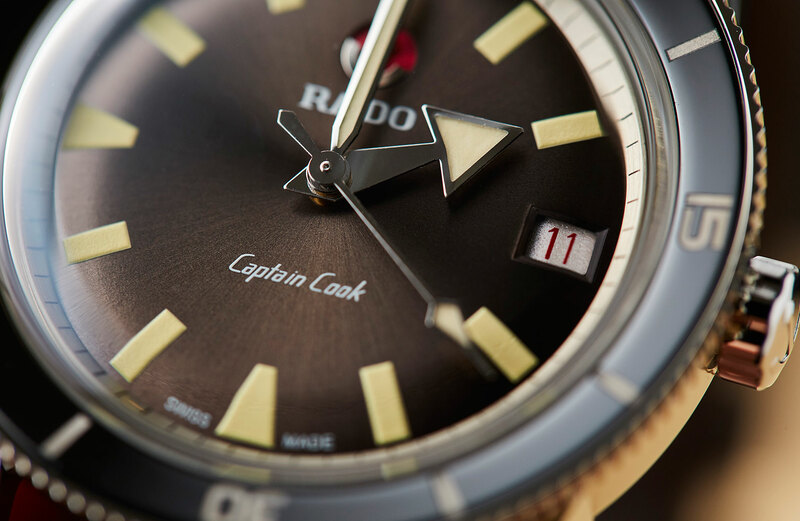 The limited edition Captain Cook has a fancier dial. The press release says it’s a black sunbrush, but in real life I found it vacillates between black and green and brown. It’s intriguing, attractive and vintage without being over the top. The hands and luminous indices are broad and blocky, printed in a slightly vintage tone, but again tastefully done. The details I like the most, though, are the Rado logo, a representation of an automatic winding rotor that actually moves, and the red text on the date window, a nice vintage touch. The regular production version shares the same fundamental dial design, with a few tweaks in execution. The black is matt rather than brushed, and the colour of the luminous material is brighter and less vintage. These two changes have a surprisingly large impact on look and feel, and really make it feel like less of a heritage reissue on the wrist. One of the perks of being part of the Swatch group is unfettered access to the ETA movements, and Rado has opted for the C07.611 for the Captain Cook, an entirely serviceable engine, the most notable feature of which is the 80 hours of power reserve – double that of the ETA 2824. The limited edition ships on a vintage-style brown leather strap, with contrasting reinforcing stitching. It’s a nice, but not particularly original, option. In contrast, the regular version comes on a metal bracelet, which is solid and a bit more modern in style, again giving this version a very different feel on the wrist. 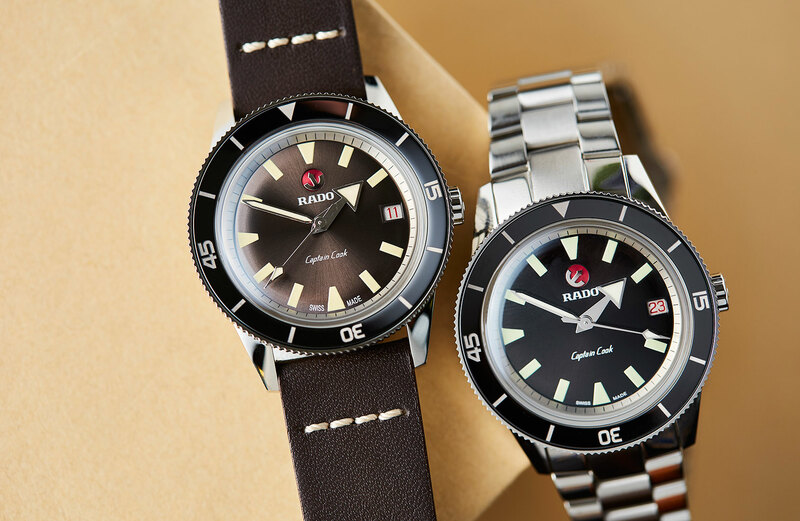 For two watches that are nearly identical, the regular and limited versions of the Captain Cook 37mm wear remarkably differently. 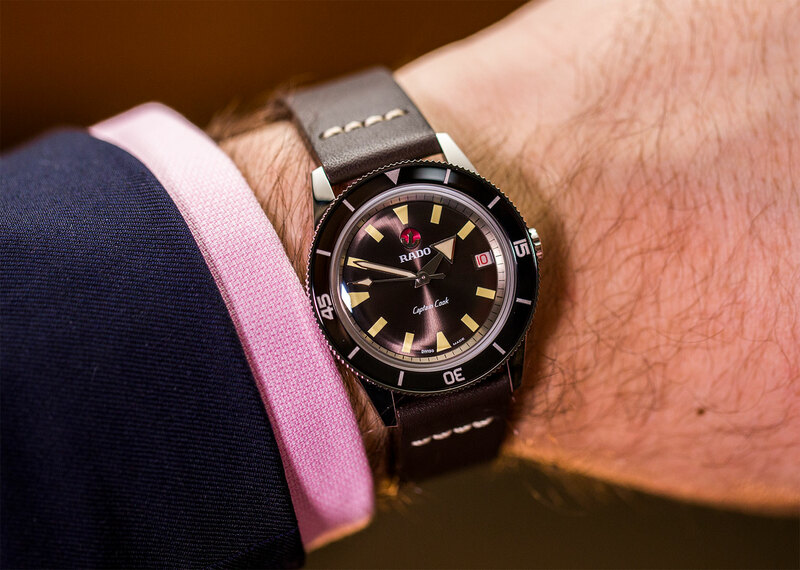 Wearing the LE is about as close as you can get to wearing an actual vintage watch (without the perennial fear of scratching the bezel/crystal). In contrast, the regular production feels far more modern, thanks largely to the bracelet. Which version you prefer would come down largely to taste. For my money – and slightly surprisingly – I prefer the regular edition on the bracelet. 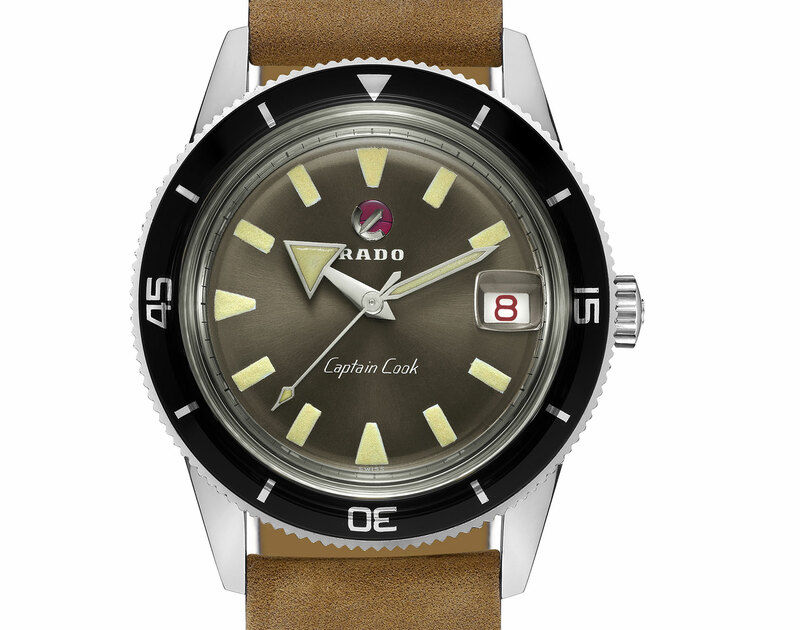 Rado has hit a surprise home run with the HyperChrome Captain Cook. Plus they’ve been smart in creating a limited edition version that will win over the watch media tastemakers, while still providing a range of other options for those wanting something a little larger or more modern. I’m now very interested to see how they’ll capitalise on this success. Fans of vintage watches, Australia or colonial explorers. Perhaps all of the above. I’m risking the wrath of the horological illuminati here, but I’d make it two millimetres larger.